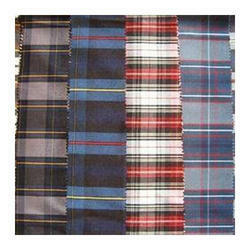 - We are manufacturer of semi suiting fabric, which are using school uniforms & hotels. - Our quality are 2/30*2/30 fiber dyed yarn 290gm to 360 gm as per designs. - Minimum quantity is approximate 600 mtr for programing & 150 mtr for ready stock designs. This Suiting Fabric is used for tailoring formal clothing. 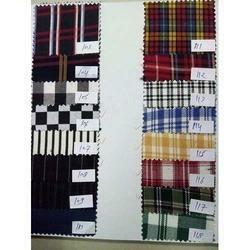 We are offering Dobby Suiting Fabric to our clients. Occasion: Formal, Casual, Party, etc. We are affianced in presenting to the industry a top class range of Dark Earth Linen Suitings. We are one of the foremost firms actively betrothed in offering an extensive series of Glitz Club Pant Shirt Combo. These are excellent Gifting packs from Mafatlal Industries Ltd.
Banking on our vendors skilled and experienced professionals, we are involved in offering a trendy range of Suiting Fabrics to our valuable customers at reasonable rates. The Yarn Suiting Fabric is made using blended yarn which is breathable and easy to care for.